The removal of the turbo engine caused a collective gasp among Subaru Legacy enthusiasts and would-be buyers all over the country. 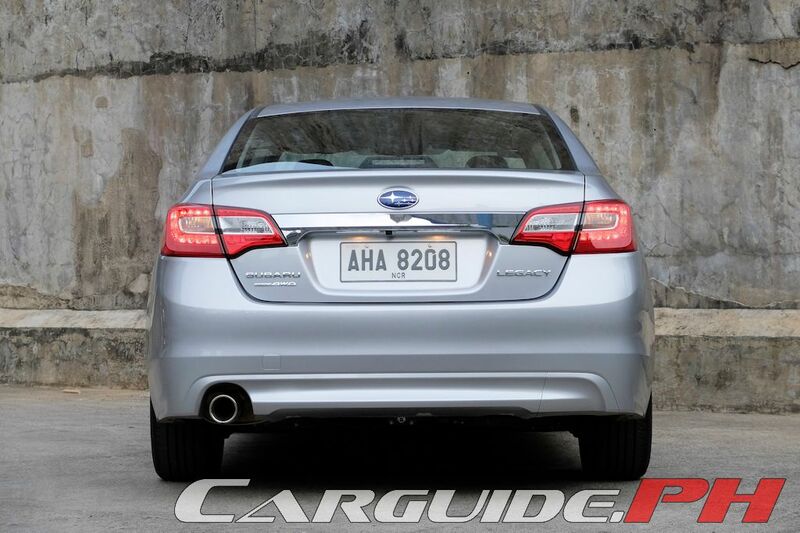 That, along with Subaru’s decision to offer it solely as a sedan had everyone saying that they’d rather keep their BM9/BR9 (2009-2014) cars over the all-new BN9/BS9. But is all this commotion actually worthy fussing over? Has it really lost the edge? Frankly, the answer to that depends on where you set your expectations. 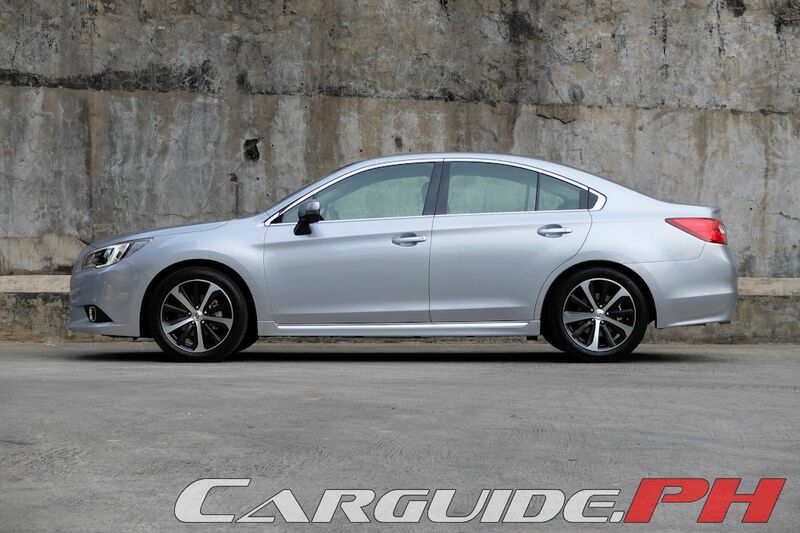 If you think of the 2015 Legacy as a grown-up WRX, then you’ll be largely disappointed. However, if you see it as a refined executive sedan, then it delivers the goods. See, the Legacy hasn’t really caught on because of its confusing nature. 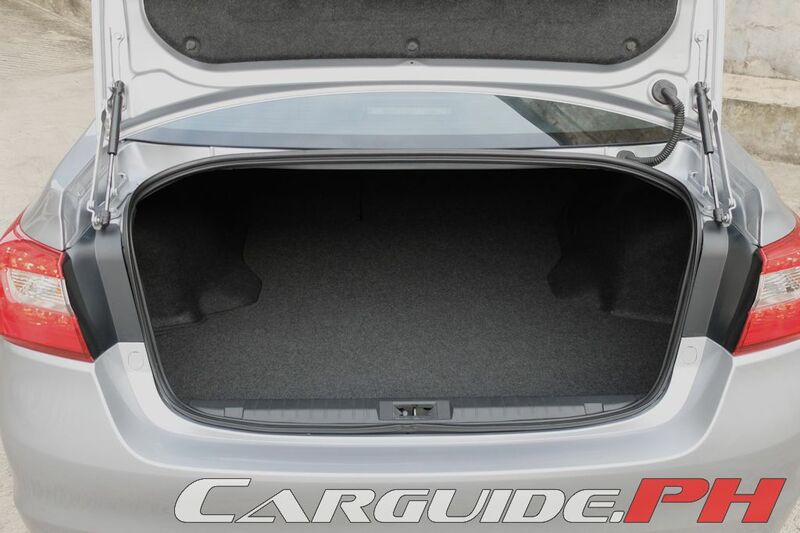 On one hand, it’s attracting the younger set simply because of its tuning potential (the number of Legacys sporting aftermarket rims and exhaust is just staggering) while on the other hand, some see it as a unique and left-field choice for a plush, large sedan. It can’t fulfill both market requirements. It’s always going to be slower and not as fun as a WRX and it won’t be as luxurious and comfy as a Toyota Camry. Enter the 2015 model. And now, all the confusion about its character is gone and instead, it has fully embraced being a true executive sedan challenger. This is going to alienate some would-be buyers, but in the greater scheme of things, it’s about time Subaru’s gotten its act together in this segment. From the outside, it gains a much more grown-up, more refined look. Undeniably, it’s blander than ever before and at first glance, can be mistaken for a Hyundai Sonata; but at least there’s no awkwardness to its design. 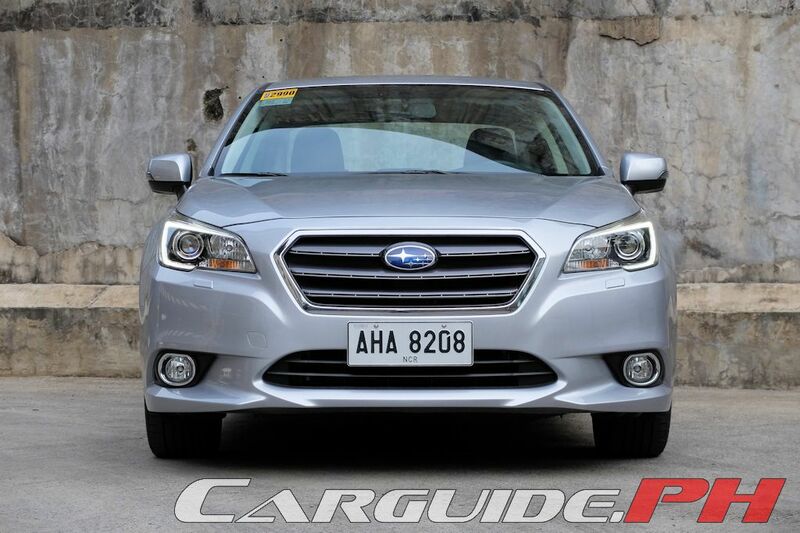 Finally, Subaru has gotten all the proportions right and turned the Legacy into a stately machine. As bland as it is, there’s some interesting design cues peppered throughout the car. Upfront, there’s the upright hexagonal grille that forms a shield-like appearance sandwiched by stylized headlamps with hawk-eye park lights and LED low beams. 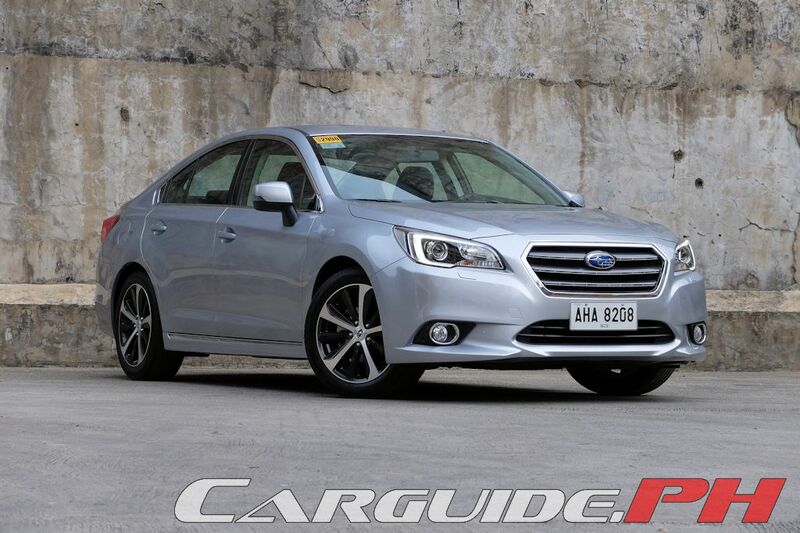 It forms an imposing, regal appearance and forms the basis for Subaru’s new design language. The rest of the car though, from the A-pillar backward becomes far less memorable. The conservative but more cohesive design though is more of function over form with heavy emphasis on improving both visibility and aerodynamics. It’s evident the moment you settle into the driver’s seat with the A-pillars thinned out and pulled back. The large, expansive greenhouse on all sides gives it the best all-around visibility of any executive sedan. This gives inspiring confidence in having to maneuver this 4,795-mm sedan through Manila traffic. Even slotting it into a tight parking space is easy with or without using the rear parking camera (the camera’s standard equipment though). 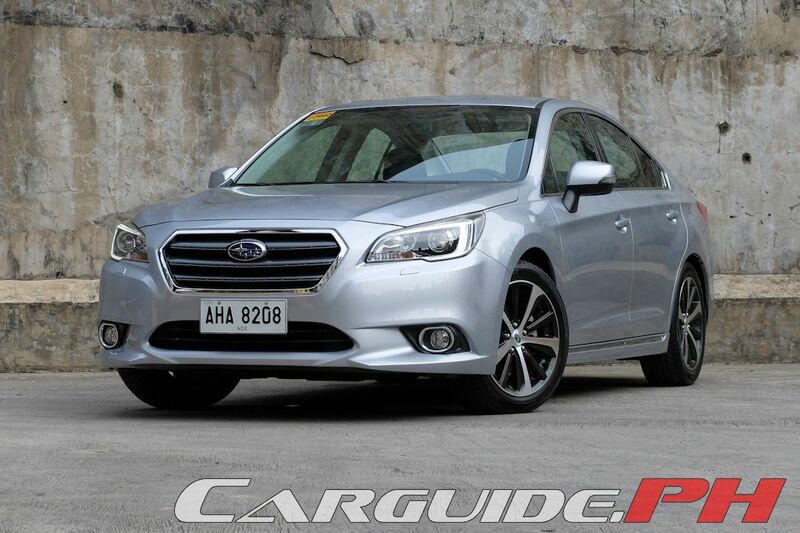 With its Outback sibling moving to an all-black interior scheme, there’s now no way to tell it apart from the Legacy. But, that’s not a bad thing. The materials used throughout are all of top-notch quality and improved fit and finish means no rattles or squeaks. Subjectively, the dashboard isn’t as modern looking as some of its rivals, the Mazda6 to name one, but there’s no denying that it’s extremely easy to use. 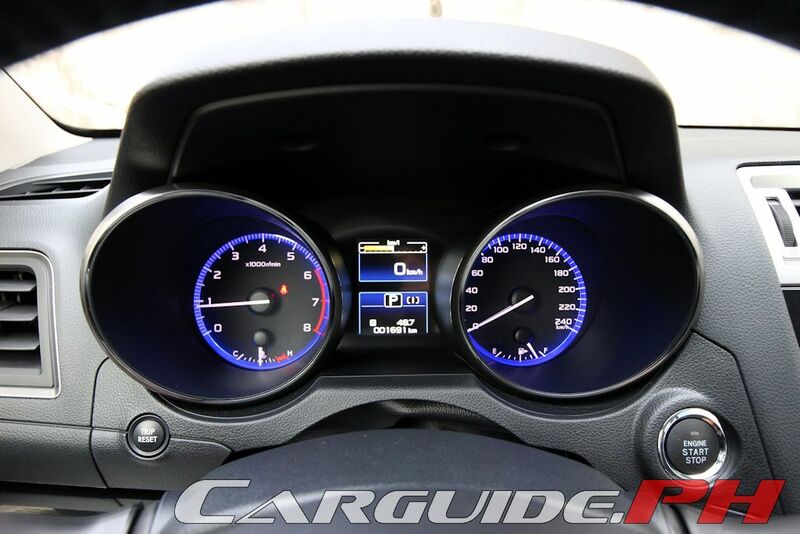 The horizontally-themed dashboard is ergonomically sound with all controls logically placed. It’s easy to get comfy with the driver’s seat thanks to power adjustment (with two-memory preset) and a tilt/telescopic steering wheel with one of the widest range of adjustment in the segment. 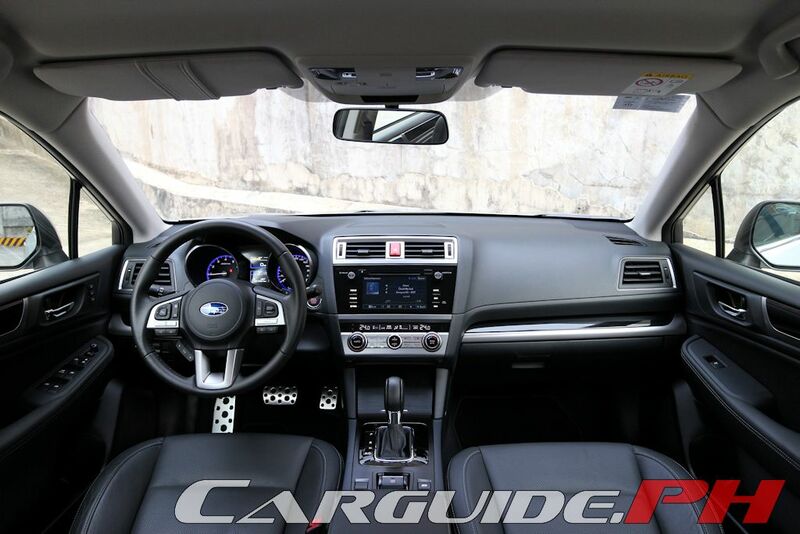 The binocular-style gauges are also extremely easy to read and understand while the three-spoke steering wheel, with a split-spoke bottom, falls naturally into hand while offering all sorts of hand controls including the ones controlling the Subaru SI-Drive. As the 2.5i-S, this particular Legacy is down on luxury trimmings compared to the ultimate 3.6R-S, but the differences are surprisingly minor. The only things missing are the powered passenger seat, the moon roof, and the Harman/Kardon speaker system. 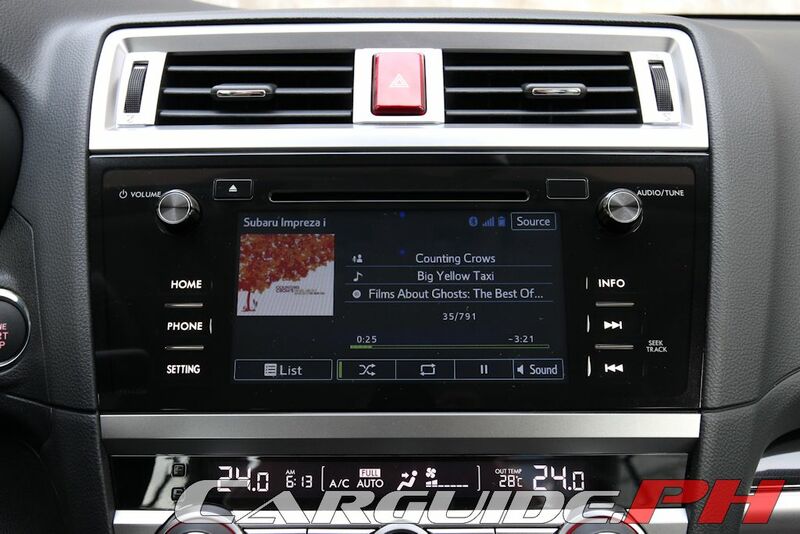 Thankfully, this model still packs the intuitive and easy-to-use infotainment system shared with its higher-end siblings. The graphics aren’t flashy, but the user experience is leagues better than other touchscreen interfaces like MyFord Touch. 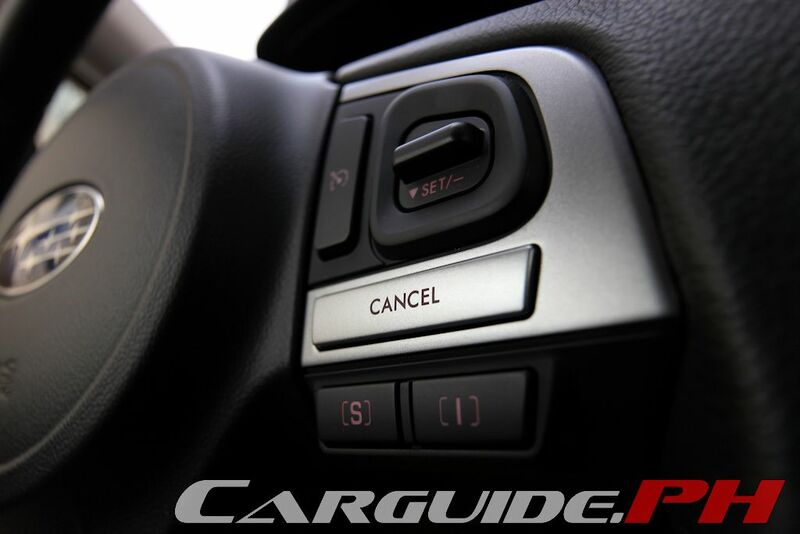 Voice commands are clustered based on vehicle functions such as ‘Telephone’, ‘Radio’, and ‘Climate’. 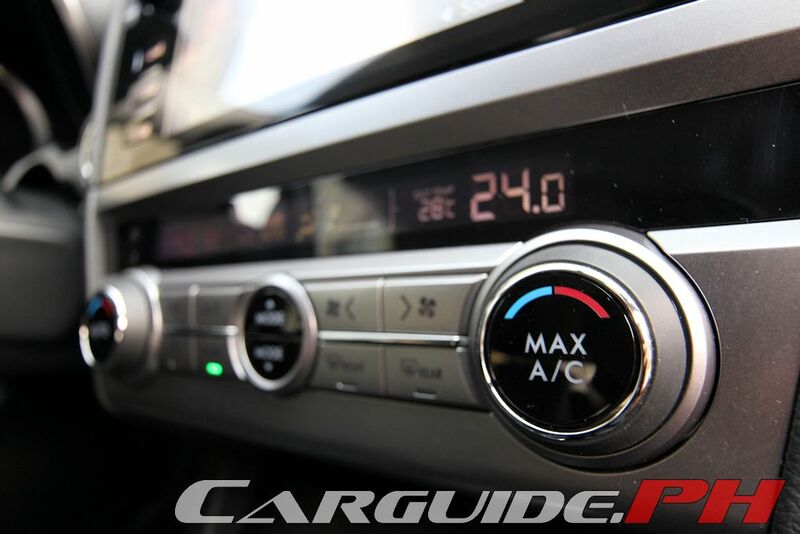 It then shows commands you can use such as ‘Set Temperature to 23.5’. It gives up some flexibility in terms of commands, but trades that for better usability. Speaking of usability, the Legacy impresses with its refinement. 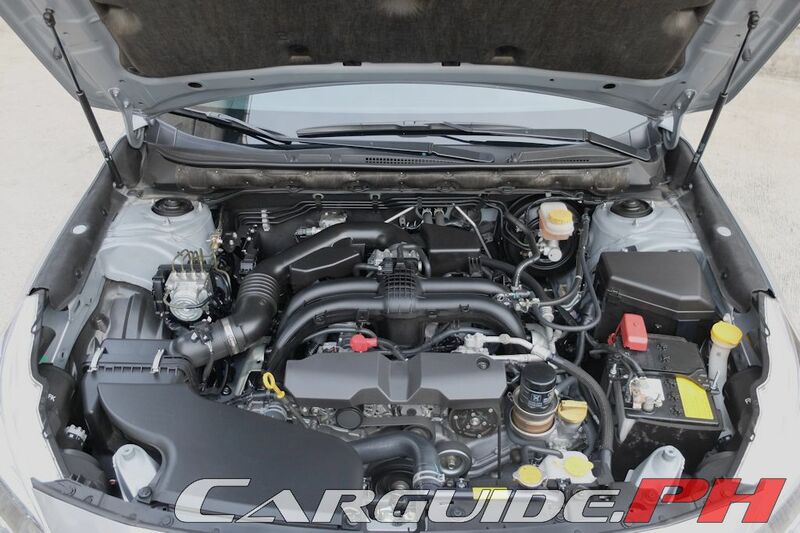 As its model designation suggests, the 2.5i-S is powered by Subaru’s 2.5-liter FB25 boxer 4-cylinder engine with 175 horsepower at 5,800 rpm and 235 Nm of torque at 4,000 rpm. These are commendable numbers, but don’t particularly standout against its competition. In reality though, it makes the most out of it thanks to its Lineartronic CVT. Thanks to two computer algorithms controlling the gearbox, it can either force the engine to greater efficiency or mimic the feel of traditional gears, based on how much you mash the throttle. Either way, the experience is one of smoothness. During the daily grind, it’s perfectly adequate and goes about its business propelling the 1,541-kg body well with good pull from a standstill. It’s largely quiet except for the telltale metallic sound emanating from the CVT. However, as the speeds go up, it starts to lose steam. 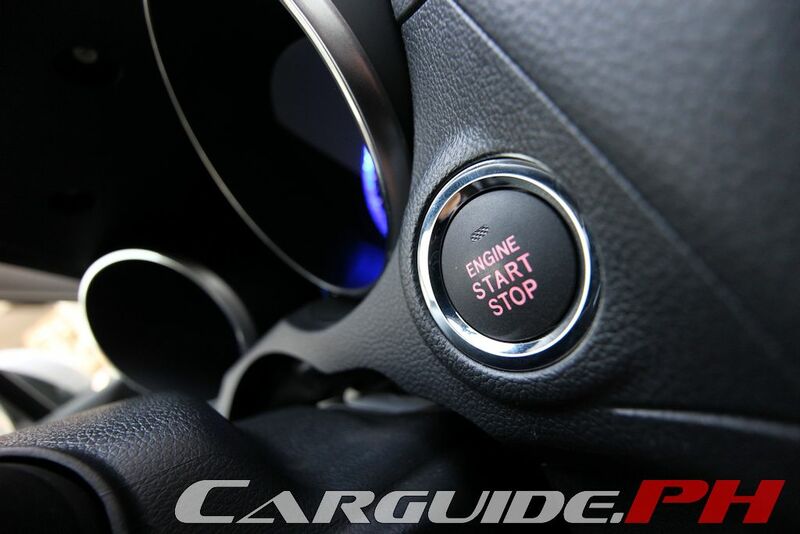 It’s particularly weak during in-gear acceleration which requires the CVT to shuffle its ratio to gain usable momentum. 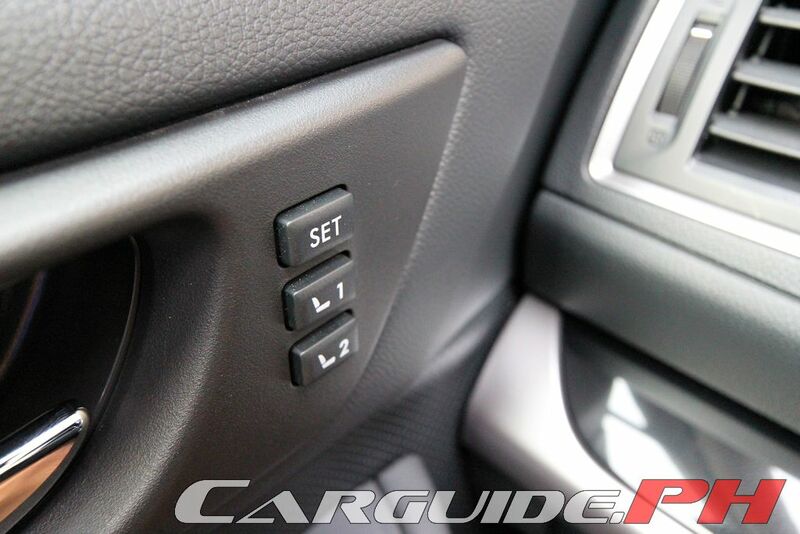 Switching the SI-Drive from ‘I’ or Intelligent to ‘S’ or Sport mode makes little difference in this set-up. In fact, 100 km/h comes in at 9.1 seconds—that’s some 1.8 seconds slower than the 3.6R-S. Efficiency-wise, it’s way better though, averaging 8.57 km/L in the city. The smooth nature of the drivetrain ties in with the rest of the package. Gone is any pretension of it trying to be a WRX. Instead, it’s become a great and stable handler that eats endless miles for breakfast. It has STABLEX-Ride, a system that expands the dampers at low speeds to allow more movement for a better ride and then reduces them a high speed to minimize body movement. As such, it feels absolutely at home on long, open roads with high-speed stability and a perfectly balanced ride. On curvier roads though, even if it’s equipped with a quicker ratio steering and Active Torque Vectoring, the 18-inch wheels (225/50R18) do squeal in protest even at the slightest provocation. It feels planted and secure, but it doesn’t take to corners the way a WRX would. 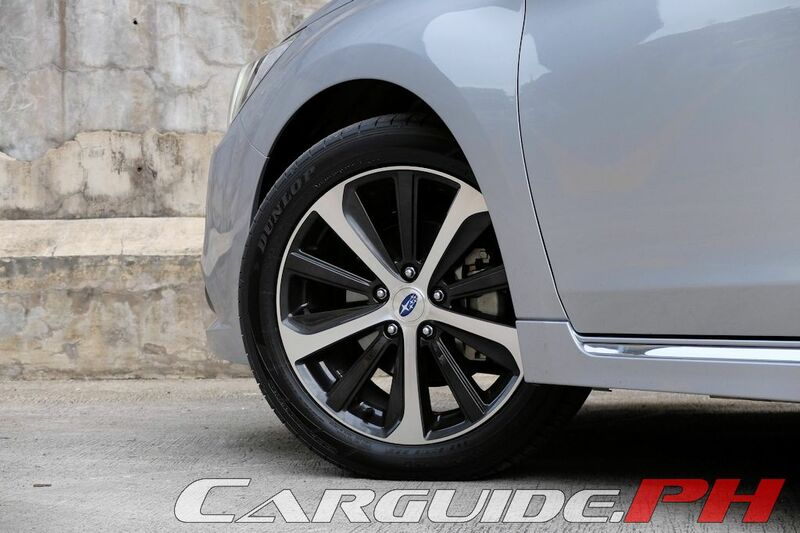 The brakes, like the Outback’s, are ventilated discs all around, offering confident stopping power. 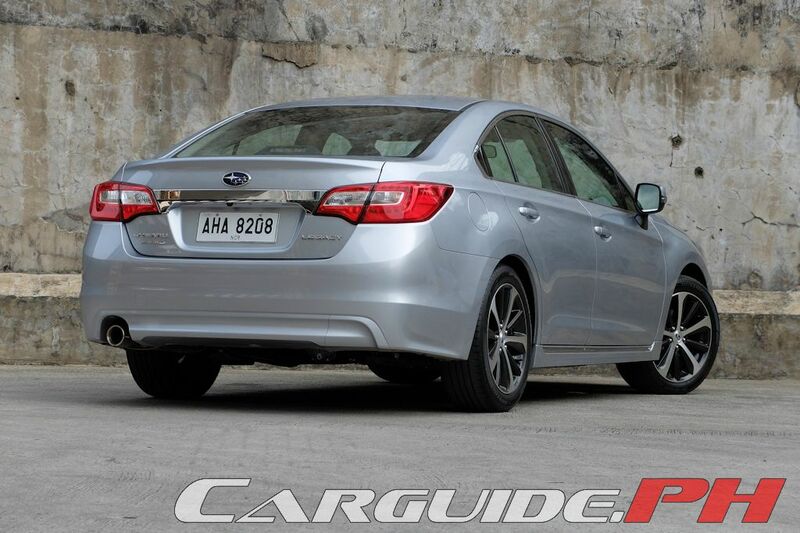 At city speeds, it still presents itself as a smooth executive sedan, definitely better than the outgoing Legacy. However, the level of ride plushness is nowhere close to that of the Outback or Camry. 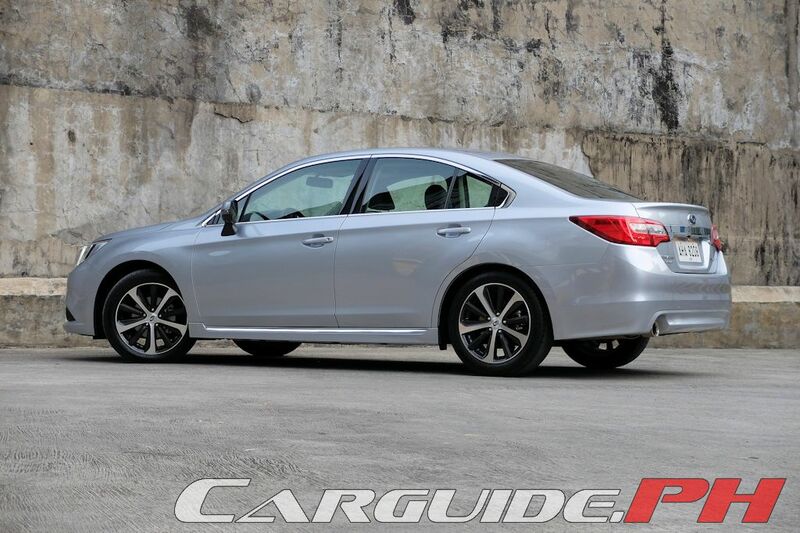 Overall, the 2015 Subaru Legacy has finally gained a more focused character, becoming more of a smooth and refined executive sedan rather than one that’s gunning for sportiness. Undeniably, this will alienate some buyers, especially those who want the grunt and vulgarity of a turbocharged engine (an interesting note is that the 3.6R-S delivers stock power figures equal to that of the turbo). No longer is it a grown-up WRX. 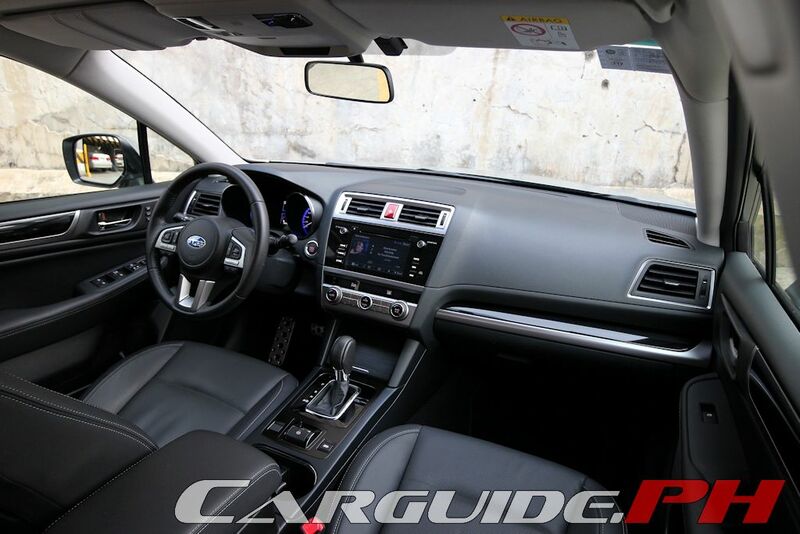 Instead, it delivers an experience that’s solely focused on refinement and comfort while still managing to remain one of the better handling large sedans out there. Granted there’s a slight premium to pay over the 4-cylinder versions of the Camry or Accord, but the Legacy does leave an impression of being a better overall choice. I've been looking at the legacy for a while now - would you say the price difference is worth it? Given the impreza which has the same infotainment, safety features and arguably similar ride handling, or an altima/accord that is cheaper? For the 2.5L, the Mazda6 is the best. For the 3.5L V6, the Honda Accord is the best. But for me, the Subaru Legacy IS THE DOUBLE BEST! Yes, it's best for those who enjoy adding oil to their engines every month! Lolz. The price seems to be very competitive, but its hard to decide since the Mazda6 has a better value than this. The extra P23K of the Legacy 2.5 over the Mazda 6's price does buy you the Symmetrical AWD system. I'll go for the Sonata. 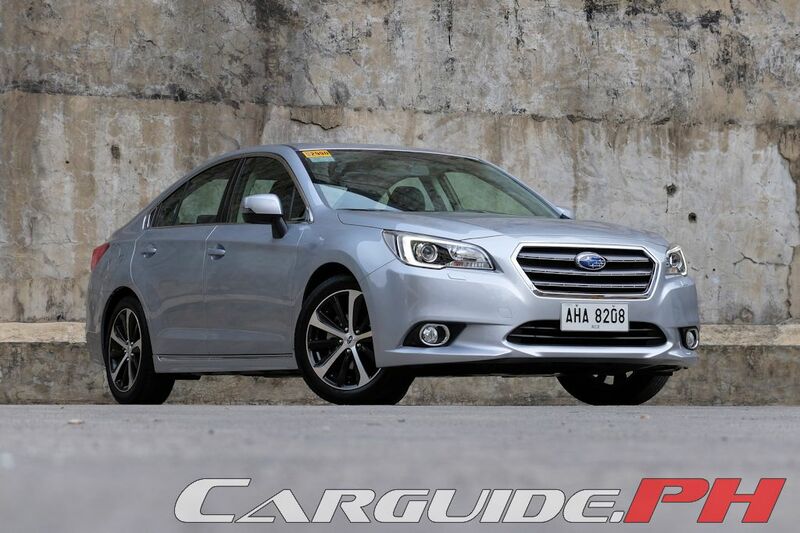 It's cleaner, more mature, quieter, sportier, smoother and more youthful than this Subaru. I have a 2012 Teana. It's excellent. Awesome V6 and Ottoman seats. The problem I have is the interior. While it may have looked beautiful before, now it's a complete mess. 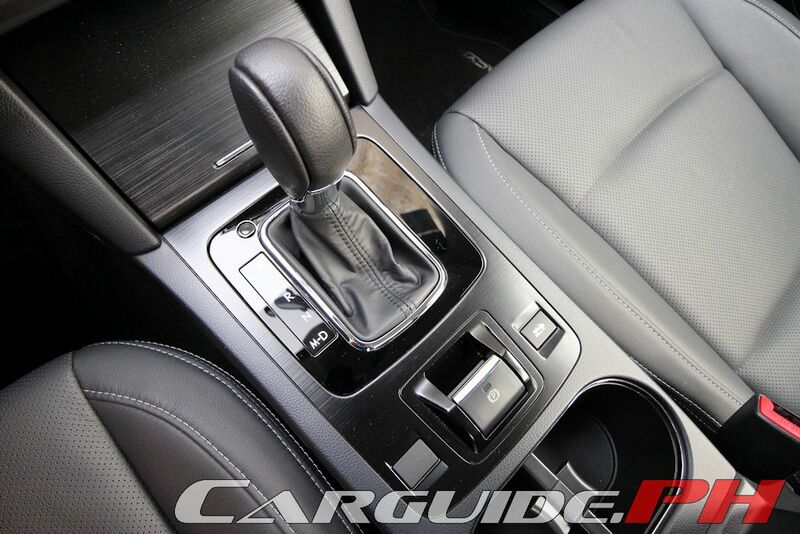 The cream leather on the steering has black marks, same with the shift knob. The seats have stains too. I clean them once a month with Mother's 2 in 1 leather cleaner and conditioner but it did not work. I don't like the new Altima so much. For me, the Teana is still better-looking inside and out. If I were to replace my Teana, I'd pick the Accord V6. I've had it with with light-colored interiors, from now on it's going to be black interiors for me. Review the new Camry V6 please.